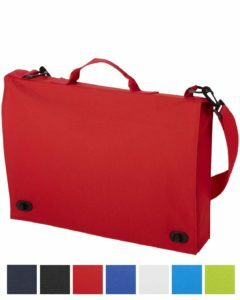 Let Them Celebrate Your Event With The Magnum Document Bag. 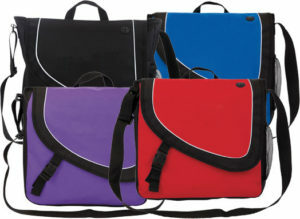 If you want conference bags or trade show bags that have a lot of show, the Magnum Branded Conference Bags will suit you. 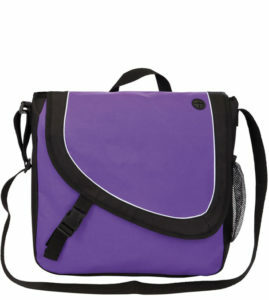 A messenger bag that avoids being straight by adding a curve. 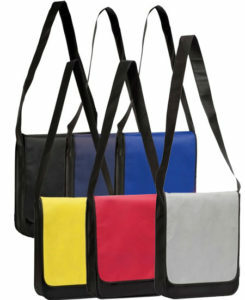 Four dominant colours with black trim and an added white piping for a touch of detail. 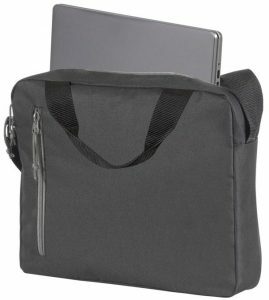 The main pocket will hold A4 documents. A smaller pocket is there for your phone which all has a socket for earphone leads.